Barça were on the front foot from the first whistle in this earlier than usual kick-off in the Champions League against PSV Eindhoven. The Dutch side, coached by former Blaugrana, Mark Van Bommel, were content just to play on the counter attack in the opening exchanges. Lionel Messi, Ousmane Dembélé, Philippe Coutinho and Luis Suárez were all busy in attack, but PSV’s compact 5-4-1 formation meant that goalscoring opportunities were at a premium. At the opposite end, Marc-André ter Stegen was up to the task when called upon. A wonderful reverse pass from Messi to Suárez on 20 minutes saw the latter one-on-one with the keeper, but his shot found the side netting. Within a minute, Hirving Lozano sprinted the length of Camp Nou pitch only to hit the sideline instead of the target. As Barça turned up the pressure, Sergi Roberto’s header was well saved by Jeroen Zoet. 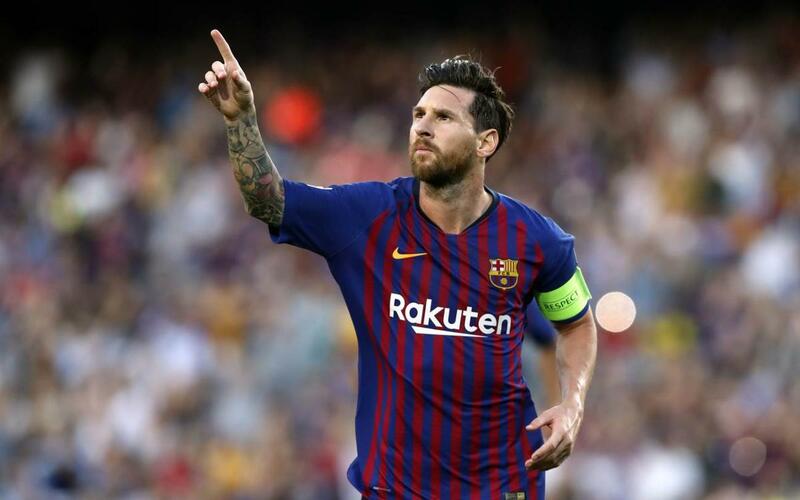 A fabulous solo run to the heart of the PSV defence by Dembélé earned Barça a free-kick just outside the penalty area, and from the resulting dead ball, Messi floated an unstoppable shot into the top corner to hand the hosts the advantage on 32. A long-range effort from De Jong which flashed over, was as good as it got for the visitors before the break. Both teams began the second half brightly, with Messi the first to get a shot away. Much of the play appeared to be concentrated in a densely populated midfield, with occasional bursts forward from the likes of Lozano, Angeliño and Coutinho. A move involving Messi, Coutinho and Suárez ended with the Uruguayan grazing the crossbar on 67, and as the match entered its latter stages, gaps began to appear across the pitch. Dembélé took full advantage just eight minutes later, pirouetting away from two defenders before unleashing a stunning drive beyond the keeper’s reach. Just two minutes later, Messi’s shot on the half volley from Ivan Rakitic’s lofted ball found the net and with three minutes left to play, the No.10 moved into the danger area again to finish with his right foot for another Barça hat-trick. Samuel Umtiti’s red card late on means he will miss the trip to Wembley to face Tottenham Hotspur in the next Champions League encounter. Barça are next in action on Sunday, September 23, in the Catalan derby at the Camp Nou v Girona, kick-off 8.45pm CEST.